Welcome to our Tent Rentals in Lancaster PA Page! Centrally located in Elizabethtown PA, we’ve services Lancaster PA since 1990! We are your backyard tent event specialists! Perfect for parties, graduations, weddings & more! 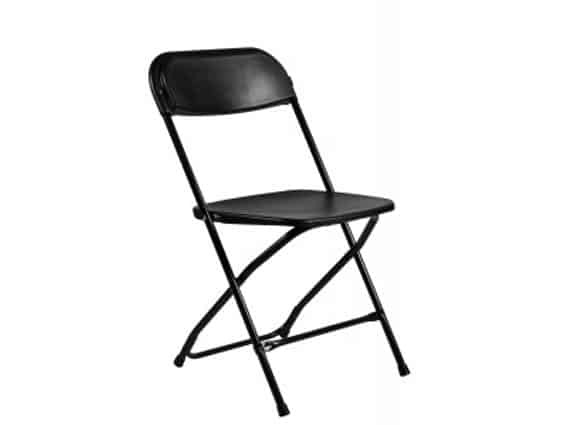 Have an outdoor celebration but need seating and tables? ‘ae Parkins Tents’ can help with that. We are your Lancaster tent rentals source for any party or event. With pole tent options, as well as chair and table rentals, we promise to suit your needs. We provide services for virtually any backyard function. Whether it be weddings, birthday parties, business events, or even graduations, we got you covered, literally. Also, we help with more specific events like auctions, church picnics, as well as car sales. Since 1990, owner Jay Parkins and his crew have been providing Lancaster, PA for every outdoor rental need. It’s our dedication that keeps us going. Since our opening day, ‘ae Parkins Tents’ has continued providing business through a business model. What’s unique about it? A majority of our business comes from repeat customers. We are trusted for any rental need, regardless of the occasion. Therefore, our priority is to provide clean quality tent, chair, and table rentals in a timely manner. Every service is offered at affordable rates, keeping budgets low and wallets fuller. 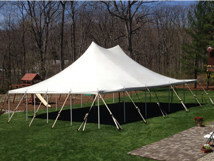 Our traditional pole tents have center poles that support the structure. It is then anchored by stakes to the ground. Pole tents are ideal for grass and dirt, but can also be installed on asphalt, suiting the needs to the customer. ‘ae Parkins Tents’ believes the best value for their customers is their poles tent rentals. If weather and lighting is a concern, we give the option to rent sidewalls for our pole tents, as well as lighting to keep your event professional, dry and well lit. Jay and his crew offer some of the best tents. There’s no business like party business and they sure deliver. Will be hiring for all events! Why would I bother with someone else who doesn’t know how to do it like Jay? I’m glad I thought ahead for renting a tent for my sons graduation. It rained, but luckily the party thrived!!! You can’t go wrong with Parkins Tent Rentals! Trust me… I’ve been renting necessities from him for nearly five years now! 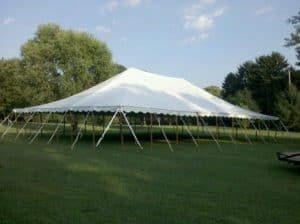 Though pole tent rentals are our prime business, Parkins Tent Rentals in Lancaster PA has table and chair rentals for any celebration and setting. 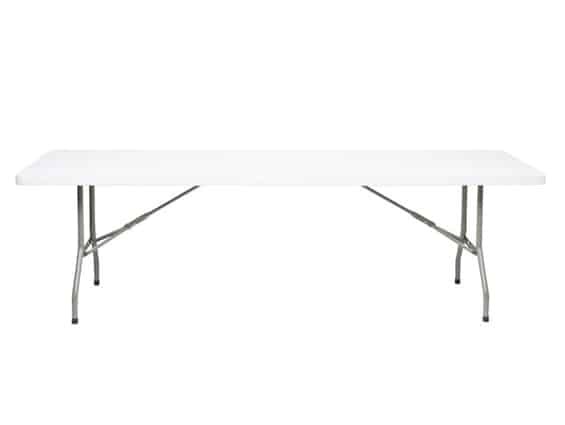 If you’re hosting conferences, graduations, birthday parties, and especially weddings, we have tables and chairs available. Whether the event is in Lancaster, York, Harrisburg, or Lebanon, Parkins is here to help you present your party within Central Pennsylvania!